Johor Bahru, the capital of Johor, has a large network of local bus service. Various bus operators are providing services between Johor Bahru city centre and other are such as Kota Tinggi, Ayer Itam, Kulai, Ulu Tiram, Pontian, Senai and etc.The guide below includes ISkandar Malaysia Bus as well. which bus can go KSL city from skudai~?_? if i want to go century garden from city square need to take which bus ya??? You can use any bus that stated they go to Tebrau Highway or you can refer to the table above. which bus going to bukit indah from skudai? which bus got go to sutera mall from bandar selesa jaya ya ? = =v? How to go giant skudai from central city square?? Hi, how to go from newcastle university in nusajaya to city square, johor bahru? which bus should I take? which bus can go city square from bukit indah? hello,which buy can go danga city mall from tun aminah? Hi, i m wondering how to go from bukit indah to kip mart? thanks alot. You need to use Causeway Link 23 to JB Town, then use Causeway Link 11B or others to KIP Mart Tampoi. 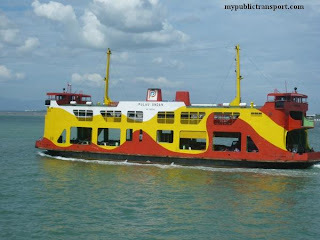 I want to go from Zon Ferry Terminal Stulang laut to KSL hotel, which bus should i take ? Just want to know on how to get to JB Sentral (specifically JB City Square) from Larkin Bus Terminal.. Thanks! You can check from the route we publish above, whichever bus that travels between Kota Raya and Larkin is the bus you can take. I will stay near "Kip Mart Ptd 129842 Jalan Skudai Lama", which bus I should take to Legoland on weekdays and for returning ? You can use Causeway Link 5B or 7B or other bus from Jalan Skudai to JB Sentral, then use Causeway Link Lm1 to Legoland. if i want go taman sentosa from sutera which bus i can take? how to go from goodhope hotel to city square? You can go to Jalan Skudai and use any bus that heads to City Centre/Kota Raya. All of them will go near City Square. 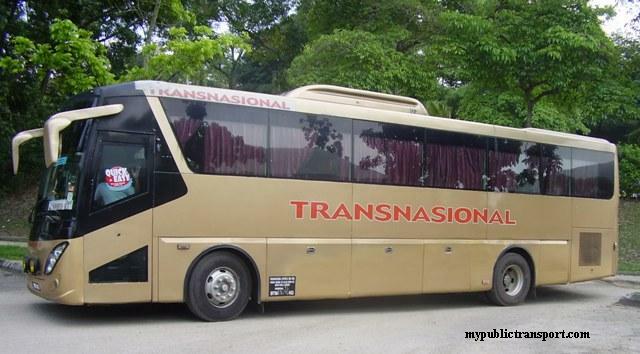 Is there any bus can be taken from Larkin to Taman Permas Jaya? 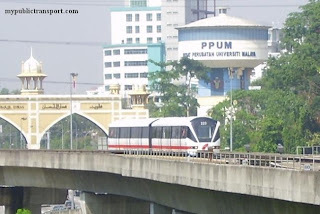 how to get Gelang Patah from Skudai by bus? You can use any bus heading to Larkin from Skudai, then use Citybus 39 or Causeway Link 55 to Plentong. What bus to take that goes gelang patah from kipmart tampoi? how to go larkin by bus? 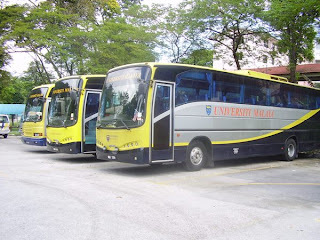 if i at UTM Skudai?and which bus should i take to?urgent! There is no bus that really go into UTM Skudai. You can use Citybus 3 from 10Mile Skudai or use taxi directly from UTM to Larkin. how to go senai airport frm tampoi kipmart? where is the exact location of the bus stop? Hi, which bus should I take to go to city square ? Can I know where you start? I wan to go from Jusco Taman University to City Square, which bus should i take? can i know the time schedule of the bus? You can use Causeway Link 5B, the bus comes every 20 minutes. from citysquare jb to sutera mall, which bus should i take? You can use Causeway Link 1B to TUTA, then use taxi to Sutera Mall. Hi, you can use Causeway Link 1B, 5B or 10B or any other bus that pass Danga Bay. The bus such as 1B from skudai to kota raya most earlier is what time? around 5.30 am morning start got public bus to kotaraya already? Thanks. How can i get from Jalan Aliff Harmoni to Larkin Bus Terminal? may I know is that bus from larkin to jusco bukit indah??? No. You need to use Causeway Link to Taman Universiti Terminal, then use Causeway Link IM23 to Jusco Bukit Indah. Any bus from Gelang Patah to JB Sentral? how to go to danga city mall from bandar baru uda ? You can use Causeway Link 666 to Larkin, then use buses that heading to JB Sentral, many bus will go to the town. Besides that, you can also use LM1. hi, may i know which bus should i take from sutera mall to JB sentral? You need to use CW 4s to GElang Patah terminal, then use LM 1 to JB Sentral. how to get jusco taman u from city square? You can use Causeway Link 5B, 51B, or Bextra. Hi, how to travel from kulai to senai airport? You need to use taxi. 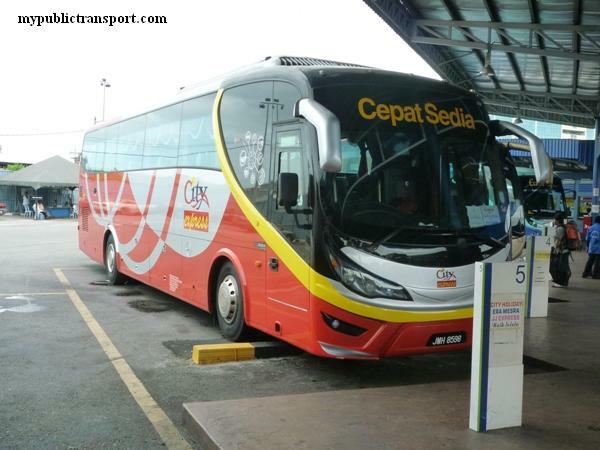 Other wise you need to travel to JB before using another bus to Senai Airport. You can use Causeway Link 5B. what number should I use from zon stulang laut to sutera mall? how to travel from Perling Mall to Sutera Mall and what number should I take? 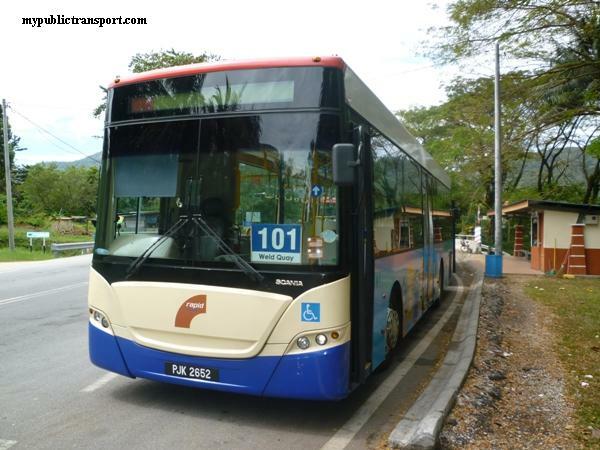 Sir, What bus should i take from JB sentral to Danga City Mall and from Danga City Mall To KSL City Mall? Thank you so much for the previous answer. You can use Causeway Link Route S1 to travel between JB Sentral, Danga City Mall and KSL City Mall. Which part of Jalan Tampoi you want to go? different routes go through different places. Which terminal & bus should I take from JB central/City Square to Taman Mount Austin, 81100 Johor Bahru? Sorry we not sure bout this. anybody know the timing of first bus and last bus to Kulai from JB sentral or outside city square? 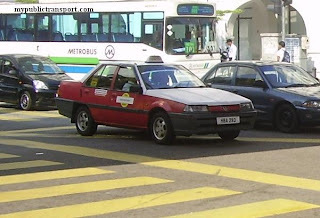 How can I go to city square [ Malaysia Custom] from Mount Austin? Or is there anyway that I can take bus from Mount Austin direct to customs since is nearer than to go to City Square. Can I Know which part of Mount Austin you start from? how do i go singapore or any bus terminal from taman tampoi ? Hi, you can use any bus heading to Larkin or JB Sentral and use CW bus to Singapore. how can i go from Jusco bukit indah to KSL city? Hi, you can use Maju 221 to JB Sentral, then use IM 17 to KSL City. How do i go to Legoland from Pontian? Hi, you can use Causeway Link 52T from Pontian to Gelang Patah, then use Causeway Link LM1 to Legoland. 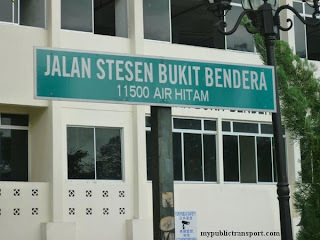 kalau saya dari bus stand taman kobena nak ke wisma persekutuan ada tak ? stop kt pejabat pos bandar tu ? ada tak kawan kawan ? Hi, you can use BET 1, BET3, 1B, 11B, and many more as long as from Skudai to JB, you can then stop near Wong Ah Fook and walk to Wisma Persekutuan and POS. how to go jusco bukit indah from kipmart tampoi?. and price?. You can use CityBus 301. It is about 45 minutes per bus. 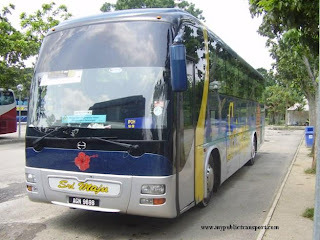 wat bus can go sutera mall from kulai or senai? Hi, from Johor Jaya you can use Causeway Link 9B, 99, CityBus 39, 133, Maju 225,208, 224, any one of this to JB Sentral, then use Causeway Link 1B, 11B, Citybus 15 or Triton 502 to TUTA, then walk to Sutera Mall. From Kulai or Senai you can use Causeway Link 777, 777B,7B, Maju 229, S&S 7, CityBus 2, 13, Triton 509 to Skudai After Giant, then get down and walk to Sutera Mall. 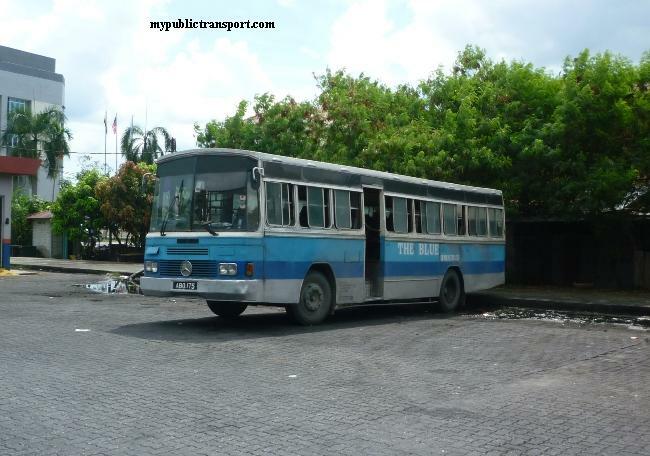 Which bus can go larkin from stulang laut? You need to use Causeway Link 22, 23, Maju 10, S&S 1, Citybus 123, 707Bus 727 to JB Sentral or Wong Ah Fook, then use Causeway 112, 777B, Maju 208, 224, 227, S&S 227, CItybus 41 to Larkin. thank you, useful guide.. just that the bus system is not complete as rapidkl where the route is clearly mark on google maps. and not support touch n go card for paying bus fare. Welcome. We like to make it like Kuala Lumpur but the situation in JB is very messy. Is there bus from JB sentral to kempas medical centre? How can I get to kempas medical centre? Hi, you can use IM03 from Larkin to Kempas Medical Centre, there is shuttle from JB Sentral to Larkin. 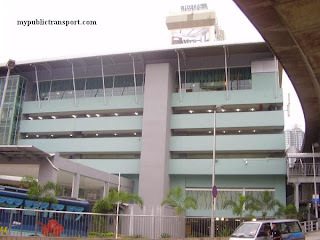 How to go city square from bukit indah? Hi,how to go taman perling from tampoi kipmart? Hi, you can use Maju Bus 221. I want to visit Tanjung Piai at Johor Bahru. Pls give me the direction from Terminal Larkin. Thank you. how can i go to jusco bukit indah from kangkar pulai? 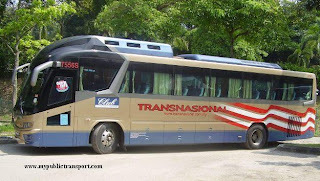 Hi, you can use Kembara CT bus 606 to Tanjung Piai from Larkin. Hi, you can use IM18 from Taman Pulai Indah to Taman Universiti, then take IM23 to Jusco Bukit Indah. how can i go to jusco tebrau city from danga city mall? HI, you can take Maju Bus 227. Causeway Link Route S1 travel from ksl city mall to larkin bus sentral right? may i know how long is the time interval of each bus? Hi, S1 does not go to Larkin. From KSL City Mall, you can take CityBus 39, 41, Maju Bus 208, 224, 227 to Larkin. They comes roughly in 15 minutes. Hi, you can take Causeway Link 10B from Taman Daya to JB Sentral and walk to Menara Tabung Haji. It is about 10-15 minutes walking distance from JB Sentral to Tabung Haji, there will not be bus directly because the bus are not allow to enter Wong Ah Fook area. Hi there, may I know which bus should I take from crystal crown hotel to CIQ? Hi, you can take any bus heading towards direction of JB Sentral to go to CIQ. There are many choices. The same bus will go to ciq from johor sentral or is it the way round? Would you like to tell me which bus should i take from Senai Airport to Pontian Kechil?? You will get down at JB Sentral and walk to CIQ. For return journey, just go back to JB Sentral. Hi, you can take Causeway Link Airport from Senai to JB Sentral, then take Maju bus 96 to Pontian. 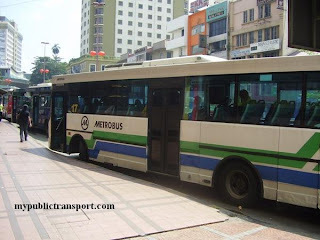 hi, if from masai, which bus i should take to menara landmark? 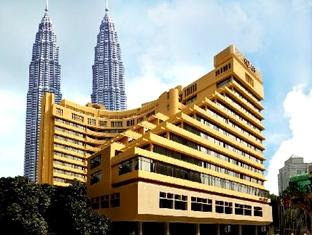 Hi, you can take Causeway Link 9B, 99, Maju 208, CityBus 39, 133, from Masai to JB Sentral, then walk to Menara Landmark. hi, which bus shld i tk frm larkin to taman gembira? Hi, you can take Causeway Link 66 from Larkin to Taman Gembira. Hei what bus can I took from Bandar Baru Uda to Jusco Bukit Indah? Or from Tampoi ti JBI? Hi, you can take Maju bus 221 from Jalan Skudai, Bandar Baru Uda to Jusco Bukit Indah. More questions that i need to ask you. 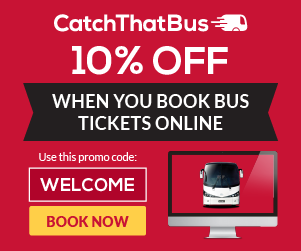 when i should pay the bus cost? When i get down from the bus or when i get on? I will take the bus from Senai Airport to Pontian. Hi, you need to pay when you board the bus. The fares is according to your journey distance. From Senai Airport you can take Causeway Link 333 to Larkin, then take Maju 96 to Pontian. Hi, you can take Causeway Link 9b, 99, Maju 208, 224, CityBus 39, 133 to Giant Plentong. Hi, you can take Causeway Link 10B from Taman Daya to JB Sentral, then take those buses that written "SKudai" to Hospital Sultanah Aminah. hello, maybe I know which bus shall I take from masai to jusco bukit indah? Thank you! Hi, you can take any bus from Masai to Jb Sentral such as Maju 208, Citybus 39. Then, from JB Sentral take Maju 221 to Jusco Bukit Indah. May i know which bus passes from City Square to Jalan Sri Pelangi or Jalan Kuning? Hi, you can take Causeway Link CT1 bus. Hi, you can take any bus heading to JB from Jalan Skudai. The bus does not really go into Taman Impian Emas. Thank you! Btw, sometimes I see the Iskandar IM16 bus in front of my house, but I'm not sure of the schedule. Is it hourly? Oh if IM16 is just in front of your house, then you can take it to Jalan Skudai instead of walking. It comes about every 30-40 minutes. Ok thanks! How frequent is the bus? which bus from plaza angsana to bukit indah? How can I get to senai from stesen baspasir gudang? Can you help me? Hi, you can take Maju bus 221. Hi,you can take Causeway Link Airport shuttle to Larkin, then take Maju bus 224 that heads to Pasir Gudang. direct bus from plaza angsana to taman bukit indah? Hi, how can i get to taman setia tropika from masai? and how frequently is the bus? Hi, you can take Maju 208, 224, Causeway Link 9B, 99, Citybus 39, 133 from Masai to JB Sentral, then take any bus heading to Skudai. From Skudai, use IM16 bus to Taman Setia Tropika. Hi, you can take Causeway Link 1B or 11B to Taman Ungku Tun Aminah Bus Hub, then take Causeway Link SL1 or CW3S to Sutera Mall. 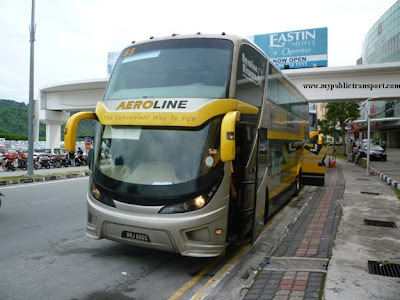 what bus should i take from pontian to larkin ? and how much ? Hi, you can take Maju bus 96. Hi, you can take bus IM17, First bus 6.00am, fares Rm0.90 if from Plaza Pelangi. Hi i just want to ask you , can you please me tell which bus to take to Plaza Tasik Skudai from Jb kastam ? Hi, you can take CausewayLink 1B or 11B to Plaza Tasik Skudai. Hello, please help direct me from Malaysia CIQ to Tune Hotel Skudai. And the timing of last bus from Malaysia CIQ? Thanks. Hi, may I know what buses can I take from taman pelangi(jalan hijau muda 5) to ciq and ksl city mall? Hi, there are lots of choices, you can take any bus take pass by Jalan Skudai/Danga Bay. Last bus on 11pm. Hi, you can take IM17 bus to both places. Hi, what bas to take from plaza DNP (taman abad) back to skudai parade. Hi, may i know what bus goes to Kulai from JB sentral. So far i know Transit Bus 2 goes there. And is the interchange at JB sentral known as Larkin Interchange?